Aviatrix provides the default Aviatrix-AWS-IAM-Policy for its solution. This document provides examples on how to customize these IAM policies. The customization reduces the scope of resource privileges and helps you meet your organization’s security requirements. Most features (such as VPN with ELB/NLB, etc) not stated above, we recommend using the default IAM policy to avoid some issues. Both the Aviatrix Controllers and the Aviatrix Gateways need access to the IAM policies. Ensure that IAM policies are consistent across all AWS accounts that the Controllers and Gateways are located in. The next few sections provide examples on how to restrict policy rule scopes. Use the original/default Aviatrix-AWS-IAM-Policy for every Aviatrix-Cloud-Account creation. The following screenshot is the account creation during the AVX controller Onboading process. After account creation, as administrator you can start editing/customizing the AWS-IAM-Policy, “aviatrix-app-role-policy” from your AWS-IAM-Policy section to increase the security level of your AWS environment/resources. Please see the following for more reference. Now you are ready to edit the policy! Please refer to the examples later in this document. In the App role policy (example), it has different “Actions” to allow on certain resource. Your Aviatrix controller needs those policies to function. ec2 – to create/delete/list/modify VPCs, Aviatrix gateways, security groups, route tables, tags, start instance, stop instance, reboot instance, associate/de-associate IP address, etc. Click here to see a default APP role based policy. In the default APP role based policy, it allows actions to apply to all resource. By changing Resource field from a wildcard ‘*’ to a more specific resource ARN can limit the service the assumed role can do. The examples are described in the later sections. aviatrix tag key = "Aviatrix-Created-Resource"
aviatrix tag value = "Do-Not-Delete-Aviatrix-Created-Resource"
Click here to download a complete IAM policy that reduces the IAM app policy for deleting instanceis. User can add “Condition” field to deny all requests not initiated from the Aviatrix Controller IP address or a range of CIDRs. The following policy only allows service requests from IP address 192.0.2.0/24, or 54.31.45.88/32, or 203.0.113.0/24. The policy can be modified to limit running gateways on certain VPCs only. 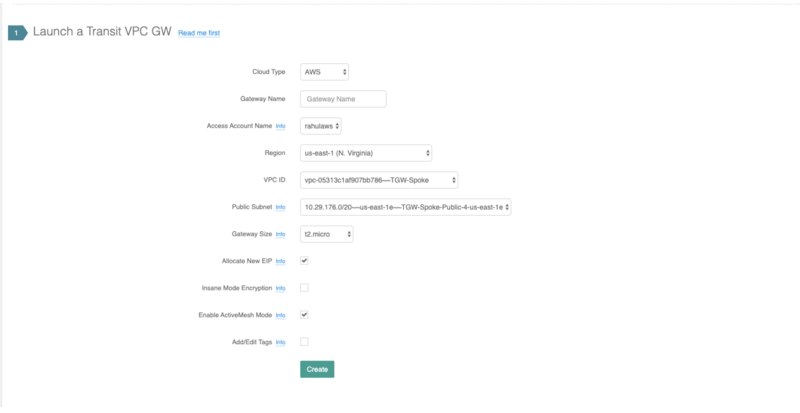 In the following examples, we limit the role to launch Aviatrix Gateway on AWS account 177688881379, region us-west-2, and vpc-873db7e2 and vpc-fda23c98. Note, we can use wildcard “*” to replace region, account number, or VPC ID. The following S3 IAM-Policy examples demonstrate allowing AWS API which is to write/PutObject AVX-Controller-Backup configuration file to a specified AWS-S3-Bucket and the command is issued only by your AVX controller. The following example(s) demonstrate allowing the IAM User/Role to access AWS-Simple-Queue object(s) only to the queues that the names start with the string “aviatrix”. We do not recommend using AWS-resource-IP checking mechanism to modify AWS-SQS API permissions. The following example(s) demonstrate using IAM Policy to limit IAM user/role to be able to operate only on instances that have a customized AWS Resource Tag. The Amazon EC2 role allows EC2 instances to call AWS services on your behalf. This policy allows action “AssumeRole” to ALL roles. The default EC2 role policy allows AWS EC2 instance to assume to any role. By changing the “Resource” field from a wildcard * to a more specific account number, role name or prefix of role name can limit the EC2 instance’s role. The policy attached to the Amazon EC2 role can limit the role it can assume by specifying the 12-digit AWS account number, role name or prefix of the role name. In this example, the EC2 instance can assume role to any 12-digit AWS account with role name prefix “HR-“, or AWS account number 177658388888 with role name prefix “aviatrix-“, or AWS account number 188658399999, role name developer. Please refer to the policy example below. Aviatrix recommends our customers to add the ARN(Amazon Resource Name) of your APP-Role (aviatrix-role-app) into the “Resource” section. However, we do not recommend specifying any IP addresses such as your Aviatrix-Controller or Aviatrix-Gateway instances under the “Condition” section in order to avoid further unexpected issues. The best practice to specify which of your AWS instances are allowed to operate your AWS resources is to modify the APP-Role (aviatrix-role-app). Please see the examples under “APP Role Examples” section of this document.